Price Match Guarantee! We match any CDN dollar advertised price. If you see a lower advertised CDN dollar price - call us direct and we will match it! 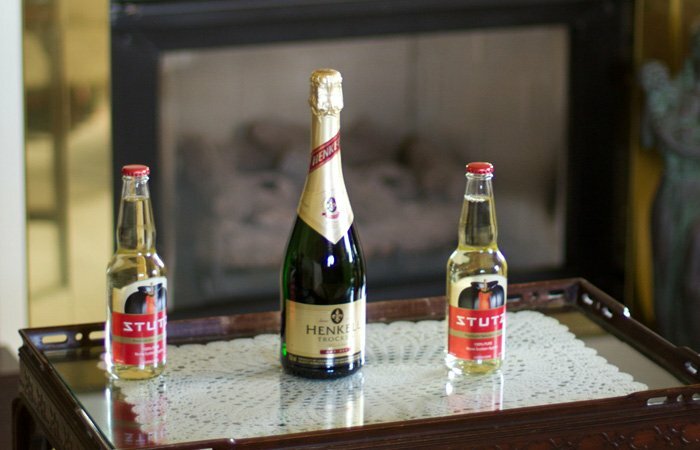 While in Wolfville, why stay at one of the generic hotels when you can stay at Nova Scotia’s luxurious 5-star bed and breakfast Inn. This Victorian-designed home and carriage house is a landmark in Wolfville and has been providing lodging and welcoming guests from around the world for 50 years. We are proud to be a member of Inns of Nova Scotia. We are here to serve you and make your stay a memorable experience. The Inn in Wolfville, NS, was built in 1893 by William Henry Chase, a businessman known as “The Apple King” and is a prime example of late Victorian architecture. It has many unique structures especially the stain glass windows on the west side of the main building. The Inn is just a 2-minute walk from Acadia University and a 5-minute walk from downtown with multiple restaurants and boutiques. We are located in the heart of Nova Scotia’s burgeoning wine industry, with over half a dozen vineyards within a 20-minute drive. All are surrounded by some of the most scenic landscapes Nova Scotia has to offer. Our accommodations at Victoria’s Inn have something for everyone. There are 16 well-appointed rooms, all of which feature ensuite four piece bath, cable TV, DVD players, telephone, bathrobes, hairdryers, air-conditioning, and free fibreOp wireless internet. Included in these rooms are luxury honeymoon suites with double Jacuzzi baths and/or fireplaces. Some rooms have a view or balcony. One room has a private entrance and patio. For the ultimate comfort enjoy the Chase Suite and its amenities. Included with your stay is a bountiful breakfast in our Victorian dining room with fixtures and paintings of the Victorian era, enhancing your stay much more than the local hotels. In the main house, there is a comfortable sitting room with menus showcasing the cuisine of local restaurants. Sit back and enjoy the newspaper or one of our books on tourism and the local area. For our working travelers we feature free fibreOp wireless internet throughout the property as well as printing, scanning and fax services to get the job done. Select the guest room that best meets your lodging needs in Nova Scotia. 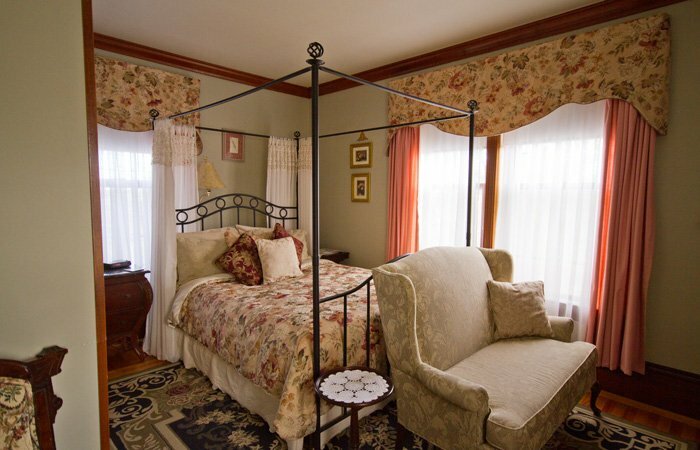 Rooms at our bed and breakfast can be booked in two areas of Victoria’s Historic Inn: The Inn and The Carriage House. Each room has it’s own personality and charm. Enhance your visit to Wolfville. All packages include room tax and are based on a one night stay in one of our premium rooms featuring a fireplace and/or Jacuzzi tub. Note that gratuity is not included. Call 1-800-556-5744, or follow the instructions to book online packages at the bottom of the page. 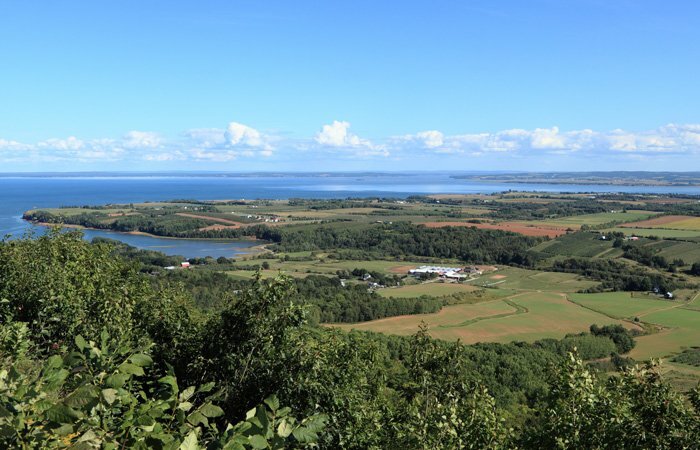 The picturesque town of Wolfville overlooks beautiful Cape Blomidon, situated in the narrow passage separating the Bay of Fundy from the Minas Basin. On the campus of Acadia University you’ll find the Harriet Irving Botanical Gardens, featuring lush gardens and greenhouses showcasing native flora of the Acadian Forest region.